Are you headed to the Midwinter Conference in Seattle? Join us for dinner! We can’t wait! 1. Find something new to read. ARCs are awesome to take, but go a step further and ask a publisher what book they are most excited about for the upcoming year. 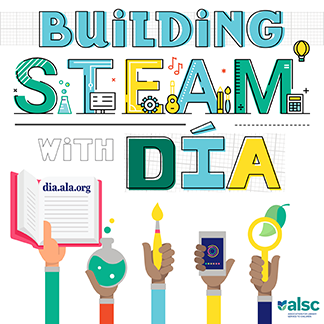 Try to find a new resource that will encourage diversity, equity, inclusion, and access at your library. Take a picture of an exhibit that inspires you. Asking questions improves your learning. Challenge yourself to raise your hand and ask one great question. 6. Will you be attending the Midwinter Conference? Join us for dinner! Members (and non-members) of ALSC are invited to network and dine together. Whether you’ve been in the organization for 20 years or are considering membership now, the Friday night dinner event is a great way to kick-off Midwinter! The ALSC Membership Committee will make reservations; each attendee is responsible for paying for their own meal. Dinners will be small groups of four or five. Space is limited, so sign up soon! This post addresses the Core Competency of Professionalism and Professional Development. 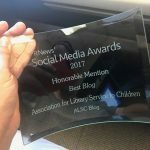 Today’s blog post was written by Alyx Campbell of the ALSC Membership committee.